Losses are integral to the human experience, but they sometimes unfold in subtle ways. Loss is not just about death, but can encompass a number of situations, such as those gradual losses experienced by the elderly: loss of vision, mental capacity, or hope. Intended to stimulate ideas and research in the new area of psychological aspects of loss, this sourcebook collects the writing of a set of distinguished scholars representing psychology and related fields. The author presents a case for a broadly-construed field of loss-both personal and interpersonal-that would complement other fields such as death and dying, traumatology, and stress and coping. No other volume is as comprehensive in its treatment of this intriguing subject. The book begins with an introduction to the concept of loss and discusses the definition of the term and the salience of the topic in the general public in the 1990s. Contributors were chosen to represent some of the most interesting current work on different types of loss and adaptation in the whole of the social and behavioral sciences. Contents cover such diverse subjects as loss in intimate relationships, disability, chronic illness, genocide, sports, unemployment, and homelessness. 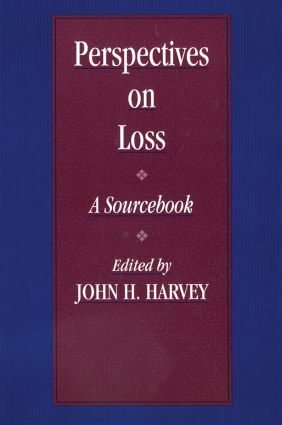 The book concludes with a commentary section on loss theory and research.